As a dog ages (just like you) he or she may slow down physically. This is nothing to be alarmed by as it is all part of the cycle of life. 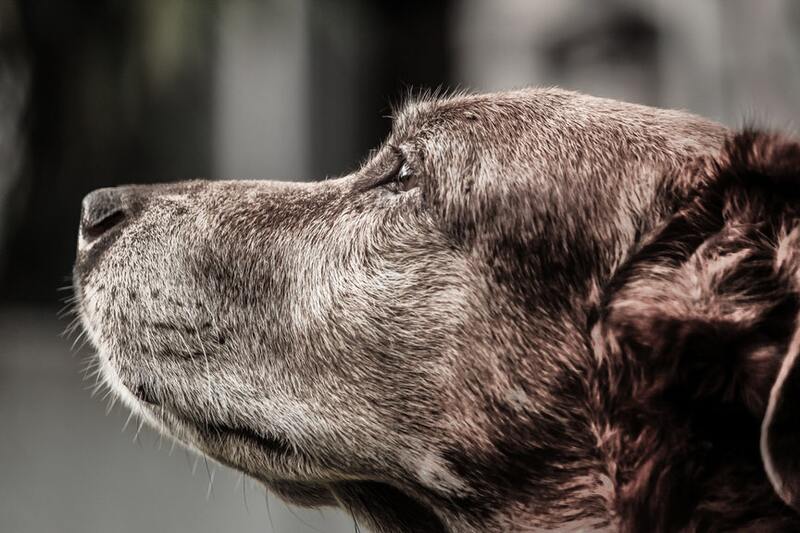 But keep in mind those activities that once benefited your dog may need to be refined to accommodate his or her senior age. It is all about celebrating his or her life and providing comfort and relaxation. That said, your doggy can still have a blast enjoying all of his or her favorite activities in a modified way. Start by revising your dog’s routine to accommodate his or her needs. For instance, if your pup loves exploring the outdoors on long walks, which he can no longer physically sustain, take him for a short walk then to the park (or your backyard) to lounge and enjoy the natural world from a more relaxed perspective. If your pup loves to hike, but tires easily, choose places that have easy access back to your vehicle, rest areas, and do not venture out too far. Be sure to also keep your dog hydrated and in the shade, as older dogs are even more sensitive to the heat (and cooler temperatures). At the end of the day, he or she just wants to spend quality time with you. Another terrific activity for older dogs is swimming because it is low-impact and easy on their weakening joints and muscles. Plus dogs generally love being in the water, which can be a fun, cooling comfort. Just be sure a shallow end or steps are readily available as your pup may tire out more quickly. But there is no reason she cannot chill and sunbathe. Also make sure your doggy is comfortable in his surroundings, meaning places, people, and other dogs. For instance, an older dog may be stressed out by younger pups trying to play with him. Thus, a dog beach, daycare or dog park may no longer be the best option. Instead, go to a quieter forest preserve, stroll around your neighborhood or just hang in your home/backyard. This is especially important to keep in mind when traveling. Make sure your dog first has a comfortable mode of transportation. If your pup is anxious around lots of people and noise, renting a dog-friendly cabin or vacation home is a better option than a busy resort hotel. Whereas, if she loves the attention of the people, let her shine. Further, in terms of accommodations, where is the room located? If your dog needs to use the facilities more often, you may want to be on a first level room or make sure there are pet care services available if you will be away for a period of time. If your dog has trouble walking up stairs, make sure there is an elevator or a ramp to accommodate him. In addition, research special doggy activities. Some hotels offer doggy massages, gourmet meals, and yoga, which is perfect pampering for an older pup. Additionally, provide stimulating activities to keep your pup’s mind sharp. Even though he might not be able to chase a ball or Frisbee, you can still do less strenuous activities, like playing hide-and-seek with his favorite toy. Overall, just enjoy every minute you have left with your buddy and focus on making his or her life the best (and most comfortable) it can possibly be.